... Historian Mark Maddox argues Kahanamoku chose to give his famous 1914 surfing exhibition at Freshwater Beach because at nearby Manly too many surfers were dropping in on his waves. ... Mr Maddox wants a monument outside North Steyne Surf Lifesaving Club at Manly acknowledging "the true birthplace of surfing in Australia". He says club members were riding boards they had brought back from Hawaii as early as 1911. "The story of the Duke being the first to surf in Australia is a romantic myth," Mr Maddox said. "I think it is time that Manly Council acknowledged the true birthplace of surfing and put up a monument outside the club on Manly Beach to rival the bronze statue of the Duke." Mr Maddox's research, contained in a new book, 100 Years - A Celebration Of Surf Life Saving At North Steyne, has caused a stir in the surfing community. He said records at North Steyne show that its first president, Charles Paterson, brought a board back from Hawaii several years before the Duke came to Australia. The board was ridden by locals William and Tommy Walker, who were credited with giving exhibitions of surfboard riding, including a trademark headstand, as early as 1912. Late Harbord resident Isabel Letham's claim of being the first female surfboard rider, after she was given a ride with Kahanamoku, has also been challenged. Mr Maddox said Doris "Doll" Stubbins claimed to have ridden a surfboard with boyfriend Jack Reynolds before World War I. Years later, her son, North Steyne patrol captain Nigel Andrews, found a press clipping in her attic about the ride in 1911. Professional Historians Association past president Pauline Curby, author of Freshie: Freshwater Surf Life Saving Club - 100 Year History, said: "It would be wrong to say the Duke was the first surfer. Records show that a Mr Walker stood up on a board at Freshwater Carnival in 1912." Around 1911, when the North Steyne Club journeyed to Newcastle for a demonstration of surfing and lifesaving techniques, the beachgoers were impressed with the body boarding going on at the same time. This was described as “the double banking of Charlie Bell and Ralph Durer on a small board measuring 1 1/2 foot by 1 1/2 foot.” The visiting squad included Edward “Appy” Eyre, Freddie Williams, beltman Rohan McKelvey and The Sly Brothers with their boat. In 1912, local businessman and politician Charles D. Paterson of Manly brought the first known solid wood Hawaiian surfboard to Australia on returning from a world tour, a far cry from Alick Wickham’s homemade model years earlier. 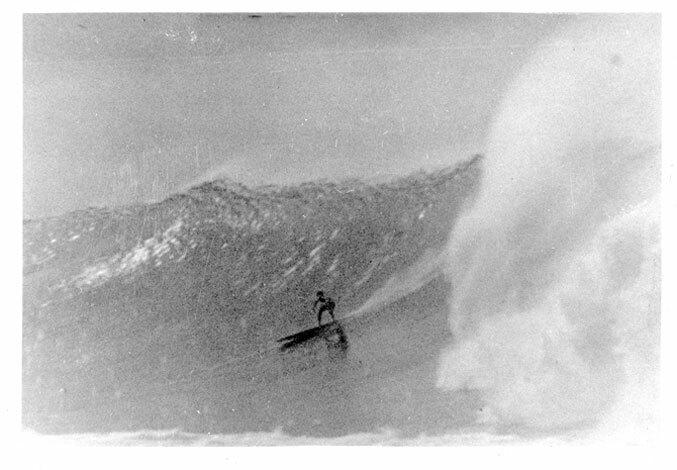 Paterson’s import was a Waikiki revivalist era redwood plank and not a traditional Hawaiian alaia surfboard. First unsuccessfully tested at North Steyne, C.D. Paterson’s Hawaiian surfboard was eventually retired to the family home at the Spit to be used as an ironing board. This historic board is now held by the Australian Surf Museum in Manly. Also in 1912, the Daily Telegraph reported on the second Freshwater Life Saving Carnival held on January 26th. In the account of the day’s events, there was mention of surfboard riding: “A clever exhibition of surf board shooting was given by Mr. Walker, of the Manly Seagulls Surf Club. With his Hawaiian surf board he drew much applause for his clever feats, coming in on the breaker standing balanced on his feet or his head.” Whether the board Walker rode on was a knock-off of Patterson’s, Patterson’s board, or an entirely separate board is unknown. We do know for sure that following the arrival of C.D. Paterson’s board at Manly, a small group – the Walker Brothers, Steve McKelvey, Jack Reynolds, Fred Notting, Basil Kirke, Jack Reynolds, Norman Roberts, Geoff Wyld, Tom Walker, Claude West (aged 13) and Miss Esma Amor – attempted surf riding on replica boards. Made from Californian redwood by Les Hinds, a local builder from North Steyne, they were 8 ft long, 20" wide, 11/2" thick and weighed 35 pounds. Riding the boards was limited to launching onto broken waves from a standing position and riding white water straight in, either prone or kneeling. Standing rides on the board for up to 50 yards/metres were considered outstanding. In Queensland, by 1913-14, prone boards four to five feet long, one inch thick, and about a foot wide were in use on Coolangatta Beaches. These were made from slabs of cedar or pine. Charlie Faukner read of Duke Kahanamoku's surf riding and used a board as an aqua planner on the Tweed River, to ride at Greenmount in 1914. Aquaplaning originated from being towed behind yachts on boards around 1900. High speed motor boats were in use on Sydney Harbor as early as 1908. Excellent historical research by Australian Geoff Cater at Surfresearch, including images and links to further reading: "Before Duke, 1900-1914"
... I assume all the old articles are correct? If so then there is evidence something resembling surfing occurred. I doubt any of the first Aussies could surf anything like Duke and may have been really pretty poor at it spending most of their time on their bellies or in a somewhat awkward stance trying to maintain balance. But in any event, it appears something did occur there. Same goes for the East Coast of the USA Someone probably surfed there before Duke but received little or no press of any type. The press builds legends. The existing Australian articles of Dukes first visit to Australia should also state something about other surfers in the area? But a claim he surfed somewhere else because too may people were dropping in on him at another break, sounds out of context to the mannerisms of the times as the Duke was a ledged and the utmost respect would have been afforded him when out in the water with a huge crowd watching. It only makes common sense to me. Like all history, one needs period documentation. I would think there would be photographs of the first surfers in Australia? Duke was really the catalyst that started surfing around the globe. He was charismatic champion and world traveler, handsome, and a ledged at a young age. In the book written to celebrate the centenary of the North Steyne surf club, Mark Maddox claims to have debunked the myth that Duke Kahanamoku was the first person to ride a surfboard in Australia. Rather than "debunking" the Duke myth, however, Mark Maddox has simply plagiarised the research of other people who have been debunking the Duke myth since 1997. I am a journalist and historian with the Manly Daily newspaper and in March 1997 I wrote a feature story debunking the Duke myth. I don’t claim credit for debunking the Duke myth - I simply compiled the numerous reports of what elderly local residents of Sydney’s northern beaches had been saying for years. In 2000 local historians Shelagh and George Champion published “Bathing, Drowning and Life Saving in Manly, Warringah and Pittwater to 1915”, which included proof that at least one local surfer was as good a surfer as Duke - if not better. His name was Tommy Walker and at a surf carnival at Manly on January 26, 1912, he displayed his skills to thousands of people by riding a surfboard all the way to the shore while standing on his head, as cited in the posting by Malcolm on Saturday December 29, 2007. There is an excellent photograph of Tommy Walker riding a surfboard while standing on his head at Yamba, a coastal town about 670km north of Sydney. The photograph, taken about 1910, is held by the Port of Yamba Historical Museum. This doesn’t mean Tommy Walker was the first Australian to ride a surfboard, only that he was good enough to be invited to demonstrate his skill at a surf carnival almost three years before Duke Kahanamoku visited Australia in December 1914. Residents of Sydney’s northern beaches are thought to have been riding surfboards as early as 1907. 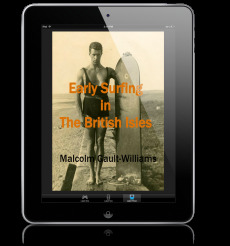 Malcolm’s posting mentions some of the names mentioned when the question of Australia’s earliest surfboard riders arises - Steve McKelvey, Jack Reynolds, Fred Notting, Basil Kirke, Norman Roberts, Geoff Wyld and Tommy Walker‘s brother William. Other local surfers included Harry Taylor, Frank Bell, Charlie Bell and Stan Exton. Local builder Les Hinds and carpenter Bernard Kieran are understood to have been making surfboards separately long before the first Hawaiian surfboard reached Australia’s shores. The debunking of the Duke myth was taken a step further in 2006, when University of Queensland academic Dr Gary Osmond wrote a thesis on myths involving Polynesians and their involvement in the early days of Australian sport. Dr Osmond devoted 44 pages of his thesis to the Duke myth. Although it might be true, there is no evidence to back Mark Maddox’s claim that Charles Paterson introduced the first Hawaiian surfboard to Australia. It has been suggested that the first Hawaiian surfboards were brought to Australia by American sailors in 1908, when the Great White Fleet visited Sydney, having sailed from Honolulu via Auckland. Charles Paterson was the first president of the North Steyne surf club and it is hard to escape the suspicion that Mark Maddox is promoting Paterson’s role in order to promote the club, of which he is a member and in whose centenary book his “research” is published. The only reason Mark Maddox’s claim to have debunked the Duke myth was given prominence in the Sun-Herald (not the Sydney Morning Herald) story on December 30, 2007, was because the overall author of “100 Years - A Celebration Of Surf Life Saving At North Steyne”, Matthew Benns, is a journalist at that newspaper - the same Matthew Benns who wrote the Sun-Herald story announcing to the world that Mark Maddox had debunked the Duke myth. By promoting Mark Maddox’s claim to have debunked the Duke myth, Matthew Benns was simply promoting his own book.